Our moving company in Montreal has been family owned and operated for almost 100 years. Providing professional, safe, and timely moving services are just a few of the reasons why King’s Transfer Van Lines is one of the top movers in Montreal. At King’s Transfer, we offer movers with an average of 15 years or more with the company along with a fleet of specially equipped vehicles to make your move problem-free. Our vehicles are available in various sizes to meet your specific needs no matter where in Montreal you’re moving. From the tight and restricted access of the Old Port to the high-rise condos of Griffintown to the large household communities throughout the island—King’s Transfer has the crew and equipment to get your move done safely and efficiently. King’s Transfer is a member of the Canadian Association of Movers, is registered with the Better Business Bureau (A+ rating), and is an inaugural member of Atlas Van Lines Canada. Our Montreal moving company is also fully insured and registered with the CSST to protect our clients from any uncertainty that may arise. 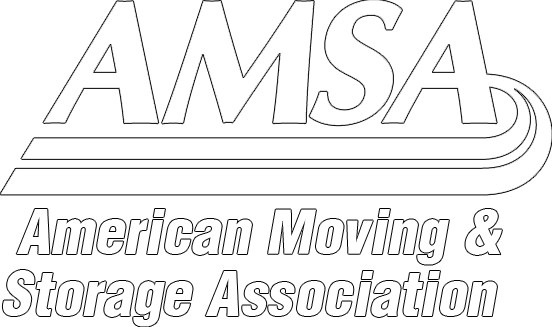 Whenever enlisting a mover, be sure to verify these claims, or you could be directly held responsible in case of an accident within your home! Our professional staff of certified moving consultants will assist you in assessing and preparing for your upcoming move. We also provide free detailed in-home evaluations if deemed necessary. For your peace of mind, all King’s Transfer staff are subjected to background checks before entering your home. To help you avoid any unnecessary stress, we offer trained crews that can handle any level of packing–from your entire home to half or some of your belongings. We also provide custom crating services for fragile or oversized items. There is no moving company in Montreal that offers better service. Moved from Montreal to the South Shore to our new house. Called King's on a recommendation from a friend who used them. Glad I did call, everything went great! The truck got stuck in the weekend construction traffic, but that was expected. Still the guys were done an hour earlier than planned with all the furniture, and then did the pick up for us at our storage locker. All was done by the end of the day, and it was such a relief to be able to sleep in our own bed! Thank you all! I’m writing to offer my sincere thanks to you, the moving crew and Kings Transfer for making my move a success. From the moment I first contacted your office, I was dealt with courtesy, respect and professionalism. This level of service extended to yourself as my sales contact, and the estimate for packing as well. Knowing how difficult the move was going to be from Old Port, with all those stairs, your moving crew of JP, William and Frank were not at all concerned with the work they were faced with. They attacked the job with vigour and enthusiasm, despite the temperature was hovering in the mid 30’s that day. They kept their good humour and were extraordinarily efficient. They maintained this high level of performance at the delivery address, and I was impressed at how they managed to move some difficult pieces without damage to the walls, and always with great spirit. 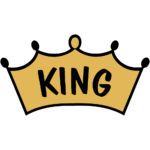 I offer my heartfelt thanks to you and the team at Kings for a job well done, and I will be certain to offer my recommendations and testimonial to anyone requiring your services. I want to thank you very much for the excellent service you gave me for my move. The movers were very professional and efficient and everything was in good order. I will not hesitate to recommend your company to people I know. I just wanted to say thank you to everyone for a job well done! The guys you sent me were amazing – punctual, quick, respectful (of my belongings and of me) and just in general nice people. Anyway – all around satisfied customer here who will absolutely be recommending you to anyone looking for movers. Montreal is an island that holds Canada's second largest city and is the 8th largest city in North America. French is the official language spoken, but it is also known for being one of the largest bilingual cities in the country. It is the second largest French speaking city in the world after Paris, but the citizens also pride themselves on the city's strong multi-language cultures. There are 19 boroughs within the city which subdivide into neighborhoods. Known for cultural diversity, each neighborhood has a distinct attitude and flare. Some popular neighborhoods include Old Montreal, the Plateau, the Mile End, Outremont, and Little Italy. Some of the most prestigious neighborhoods in the city, like Westmount, Hampstead, and Town of Mount Royal, are homes to former prime ministers and celebrities who embrace the uniqueness of Montreal. 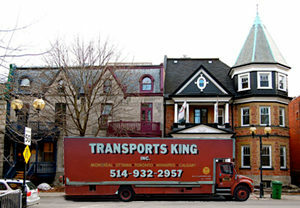 King's Transfer is the only major moving company that is located directly in center of the city, in the quickly modernizing area of historic Griffintown. We have been here for the past 95 years, with the 3rd generation of the O'Donnell family still operating the company. We have literally watched and helped the city of Montreal grow, and nobody knows the city quite like us. We can move you locally in Montreal, across Canada, across the border, or anywhere around the world. We have two fully equipped storage warehouses in Montreal, a fleet of trucks, experienced packing crews, and a highly trained staff ready to assist you. Click here to speak to a representative and learn more about what we can do for you.